The "Mini" portion of Samsung's lineup is squarely aimed at the budget market. It's strange, then, to see two new phones that are (at least in some respects) a generation apart launch on the same carrier on the same day. Verizon has done just that: the Galaxy S III Mini is now available starting at $49.99 ($249.99 without a contract) and the Galaxy S4 Mini is $99.99 (a full $399.99 contract-free). Oh, and both of them have the Verizon logo of shame on the home button. 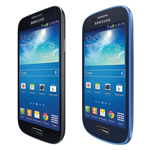 Between the two, the Galaxy S III Mini is probably a better choice for the smartphone buyer on a budget. The specs aren't anything to write home about: 4" 800x480 screen, 1.2GHz dual-core processor, 1GB of RAM, 8GB of storage plus SD card, and a 5MP rear camera. 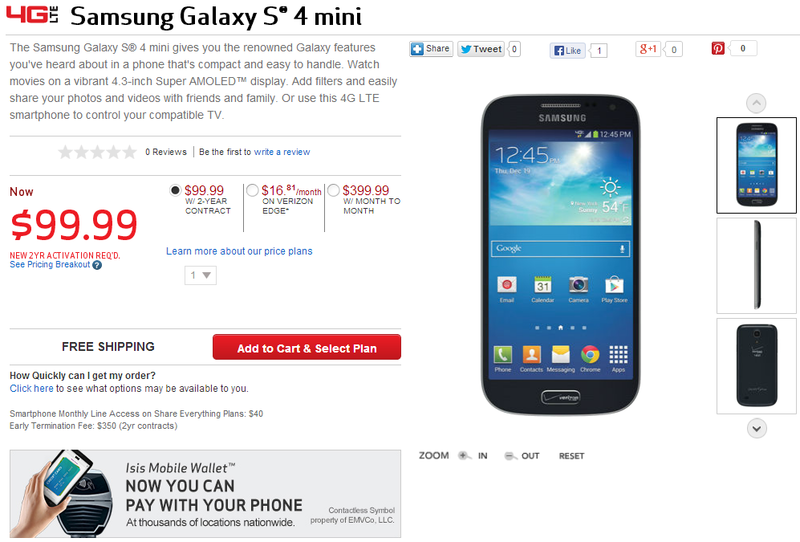 But then again, the Galaxy S4 Mini isn't going to win any specification showdowns either. It's got a larger and denser 4.3" qHD screen, a 1.7GHz dual-core processor, an 8MP rear camera, and an extra half-gigabyte of RAM, but the storage and Android version (4.2.2 plus TouchWiz) are the same. Both phones can use the ISIS NFC wallet app, if you really must have it. So why do I recommend the S III Mini over the S4 Mini? Well, the off-contract price is $250, which is about as low as you're going to get for a new Verizon smartphone. But you're going to get something on-contract, you might as well skip both of them and go for the Motorola DROID Mini, a great little device with solid software and 2GB of RAM, which has the same $50 contract price as the S III Mini and the same $400 off-contract price as the S4 Mini. Just my two cents. 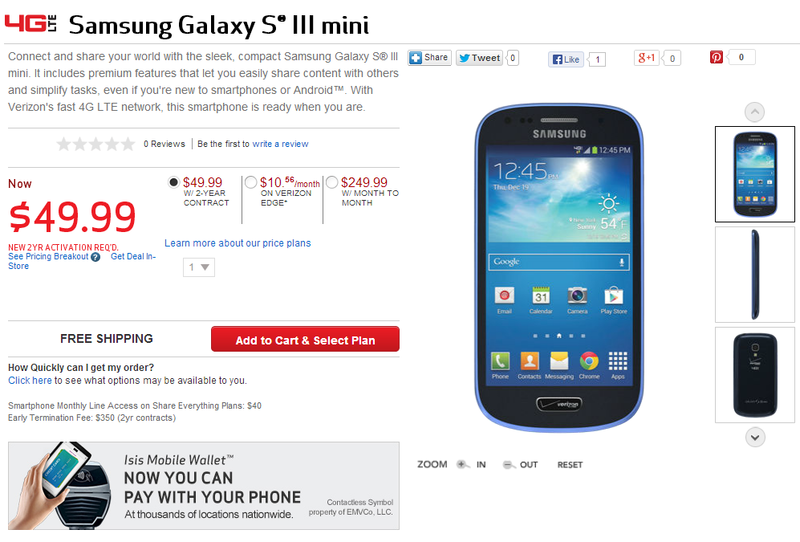 If you've got your heart set on a diminutive Galaxy, both the S III Mini and S4 Mini are on Verizon's website now. They should be showing up in retail stores today as well.